This is our own designed and built fully automatic high speed sleeve wrapper range, ideal for high volume commercial shrink wrap applications. We have worked hard on the re-design of this machine and are delighted with the results achieved. It looks great, its performance is better than ever, the pack presentation is fantastic, it’s more compact and takes up a relatively small space and to top it all off, much improved energy efficiency. Our British built shrink wrap machines are fully supported by us in terms of service and supply of consumable spare parts. 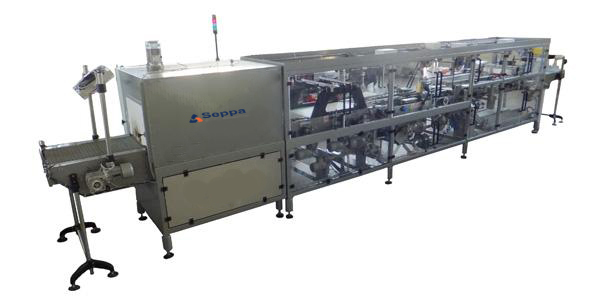 • SEPPA shrink wrap machine is a result of years of our experience in the industry and our collaboration with our customers and their engineers. 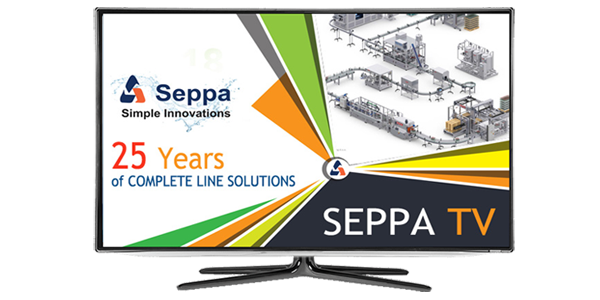 •	SEPPA Shrinkwrap Machinery gives 49 years of knowledge which goes into the build of each machine, you can be assured of back up and service second to none. 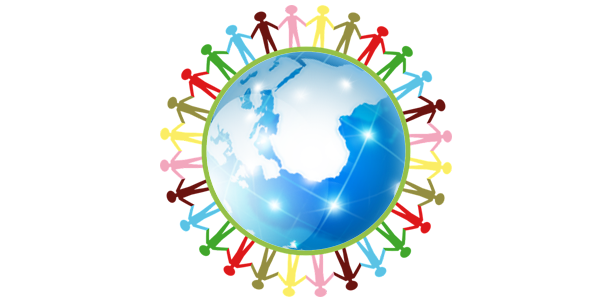 •	We operate in a continuous improvement environment and are open to work closely with our clients on all aspects of the design and build of each machine. shrink wrap machine with push button control. This sleeve wrapper uses a pneumatically operated pusher with a thrust length of 320 mm and requires a single operator for use. shrink wrap machine with automatic sensor control. 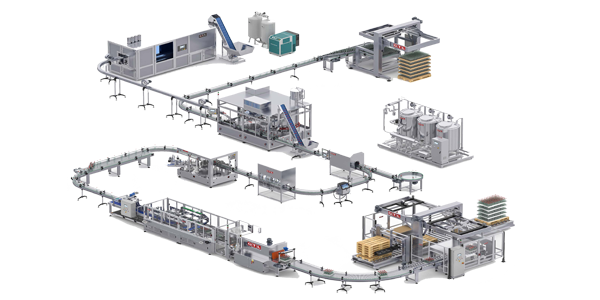 This sleeve wrapper uses a motor driven inline infeed conveyor with a length of 400mm. Horizontal sensors are used for product detection and conveyor activation. •	Thermostatically controlled tunnel, recycles air. Thick silicone curtains at either end of the tunnel reduce heat loss and improve efficiency. • Pack rollers on tunnel outlet which assist in flattening the molten film on exit from the heat tunnel. 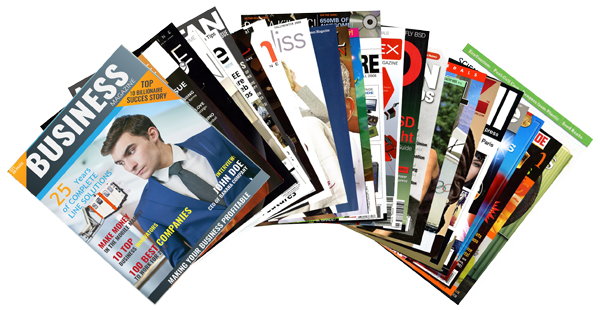 This improves pack closure and overall presentation and finish. 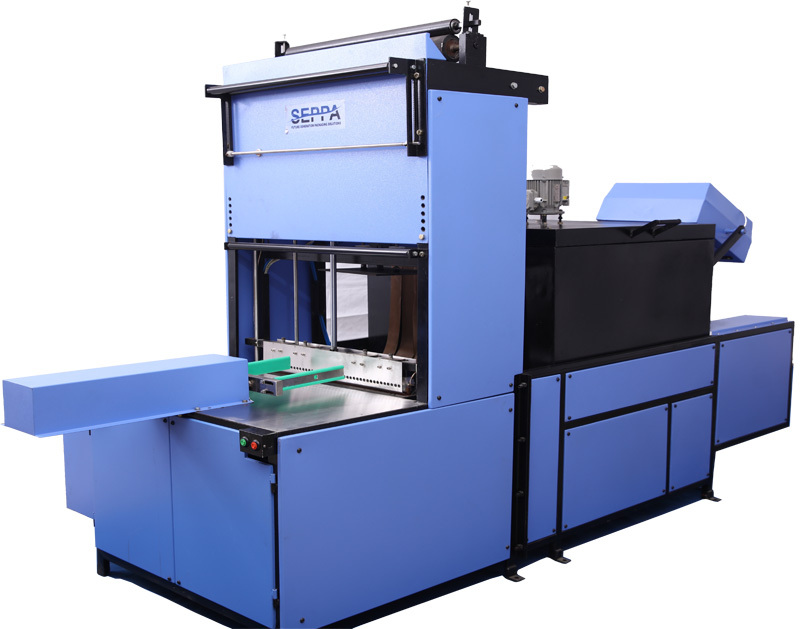 This is a compact SEPPA Monobloc sleeve wrapper, ideal for low volume shrink wrapping applications where a Polythene film is required. The machine places a sleeve of film around the pack which then passes through to the heat tunnel for shrinking..
•	The machine utilizes a twin reel shrink film system. One reel at the top and one at the bottom. •	Thermostatically controlled tunnel, recycles air. The tunnel has thick silicone curtains at either end which reduces heat loss and improves the energy usage of the tunnel.